According to satellite images provided by multiple sources on Wednesday, Iran attempted a satellite launch on Feb. 5. It was the country's second attempt after the first one failed in January. Despite no official confirmation from the country, experts said there was a high probability that the recent launch too was unsuccessful. Two different sets of images, shared by San Francisco-based company Planet with NPR and Colorado-based company DigitalGlobe with other news outlets, show an absence of rocket at the Imam Khomeini Space Center in Iran’s Semnan province Tuesday, following days of activity around the area which indicated that the country was making preparations for a second launch. The photos also show visible burn scars on a newly painted launch pad in the space center. "We seem to see at least some scorch marks on the launchpad, indicating that a launch likely happened," David Schmerler, a senior research associate at the Middlebury Institute of International Studies in California, who analyzed the imagery, told NPR. While the burn marks themselves were not indicative of a failed launch, the lack of any official word on the event from the country suggested that the launch was likely not a success. "It looks like it went up and probably just failed to insert the satellite into orbit," Schmerler said. He added that the second rocket was probably a smaller version of the Safir, which according to the Center for Strategic and International Studies is “Iran’s first space launch vehicle (SLV) used to place satellites into low Earth orbit (LEO).” It is a liquid-fueled rocket built on a missile technology that Iranians obtained from North Korea. So far, Iran has successfully placed four small satellites into LEO. Ankit Panda, a New York-based reporter for The Diplomat, tweeted that he had spoken to a source who confirmed that the United States government observed the launch of a Safir SLV by Iran on Tuesday, which failed. Although Tehran never announced any date for the second space attempt, it said it was planning to launch a satellite, called “Doosti” (meaning friendship) into orbit after the first one, “Payam” (or message) on the night of Jan. 14. 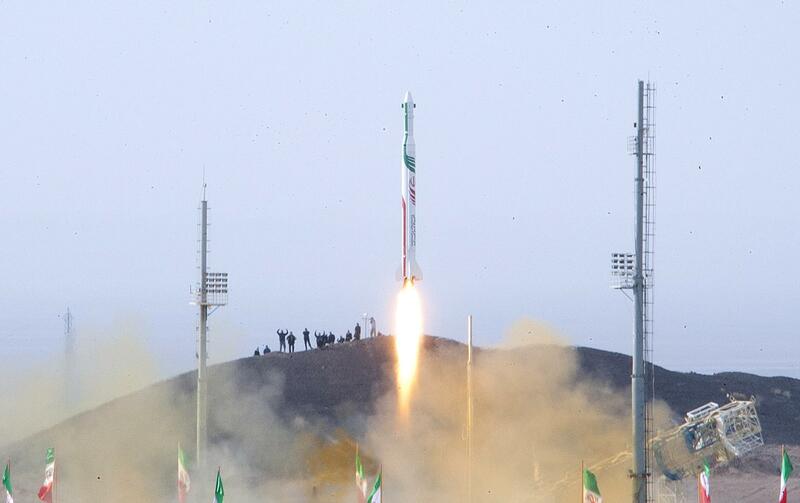 Explaining what caused the failure behind the first launch, Iranian Minister of Communications and Information Technology Mohammad Javad Azari Jahromi told Islamic Republic News Agency that Payam did not reach enough speed in the third stage and hence could not be put in the orbit. Days before Iran carried out its first space launch of the year, Secretary of State Mike Pompeo issued a stern warning, telling the country not to go through with any space launch programs. Despite repeated claims from the U.S. that Iran’s space launches constituted a direct violation of a United Nations resolution on its ballistic missile program, Tehran rejected the accusations. The Middle Eastern country has countered that its satellite launches and rocket tests were not precursors for a future nuclear weapons program.